" Through this recruitment, we can recruit people who work well"
Jakarta Provincial Government is opening CPNS recruitment this year. The recruitment process will be done through National Civil Service Agency (BKN). 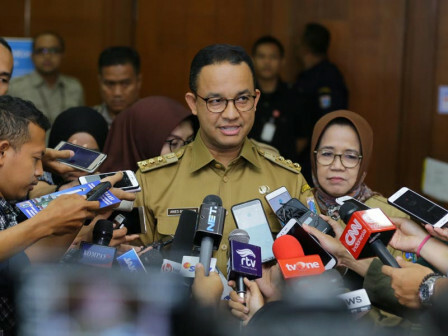 Jakarta Governor, Anies Baswedan stated that there will be civil servants (PNS) retired every year. "Through this recruitment, we can recruit people who work well," he expressed, at City Hall, Tuesday (9/18). In the meantime, Jakarta BKD Acting Head, Budihastuti stated that the allocation of Jakarta CPNS formation in 2018 is 2,919 slots. The formation is consisting of education personnel, health workers and administrative technical personnel. "The most formations offered are education workers (1,703 slots), followed by health workers (490 slots), and administrative technical personnel (726 slots). From that number, the city government will welcome 4 people with S2 graduates, 2,590 people with S1 graduates, and 325 people with D3 graduates. For more further information, you can visit the official BKN website at http://sscn.bkd.go.id. "God willing we hold the test along with BKN nationally and hopefully get the best according to the needs of the city government," he stated.